Amid all the coverage of the politics of Brexit, it’s understandable little is said about the importance of EU law as the source of the rules regarding which state's courts have jurisdiction to hear commercial disputes which have an international element within Europe. Under the Withdrawal Agreement, existing arrangements will continue to apply only until the end of the transition period and there is an element of uncertainty as to the rules which will apply afterwards as those will need to be agreed. There is also the uncertainty about whether the UK will end up leaving the EU with "no deal" at all. Against this backdrop, it’s a good time for businesses to re-review the dispute resolution clauses which tend to lurk, almost unnoticed, at the back of contracts, until a problem arises. While specific advice should always be taken in such a review, one of the main options is to state in the contract that the courts of one state have exclusive jurisdiction, because such clauses have a better chance of being valid under the international legal rules which will likely apply in a "no deal" scenario. Another option is to provide for disputes to be resolved by arbitration, where a neutral arbitrator hears and decides the dispute, because arbitration awards are generally able to be enforced internationally under rules which exist outside EU law. There is a great deal to be said in favour of Scotland as a venue for resolving disputes. Although many Scottish businesses continue to write contracts which are covered by the jurisdiction of the English courts, there appears to be a growing willingness to reconsider this and to agree to litigate in Scotland. While England remains a good place to litigate, it is most welcome to see more Scottish businesses (and businesses outside Scotland) valuing the strengths of the Scottish courts and Scotland-based arbitrators, mediators and litigation lawyers, as well as the cost and other procedural advantages. It’s also encouraging to see the Scottish Government and Scottish Courts and Tribunals Service recognising the importance of and taking practical steps towards the Scottish courts being a desirable place to resolve commercial and international disputes. For example, in the Court of Session there is a continuing commitment to maintain a complement of full time specialist commercial judges in sufficient numbers so that cases can be heard at first instance with reasonable speed. A number of former commercial judges now sit at appeal court level and the appeal court has the capacity to hear appeals much more quickly than happened in the past. Continuing consultation and dialogue between the commercial judges, lawyers and business users of the commercial court keep procedures updated and adapted to the needs of business users. In arbitration terms, Scotland has a modern arbitration law found in statute and the Scottish Arbitration Centre and other bodies provide sets of rules and procedures which can readily be adopted to enable an arbitrator to be appointed and an arbitration to be run in Scotland. The Court of Session has specialist judges and procedures to support arbitrations taking place in Scotland, and there is an established and growing body of lawyers and non-lawyers who have long business experience and who have trained and undertaken examinations to qualify as arbitrators. No modern venue for resolving disputes would be complete without a strong range of options designed to support businesses to resolve disputes between them by agreement, rather than by a ruling from a judge or arbitrator. Mediation is the foremost of the options where a skilled mediator will aim to assist the parties to resolve their dispute by fostering mutual information exchange and understanding, by sense-checking and reality-testing positions, and by exploring creative options which enable the parties to focus more on what they have in common than on what divides them. 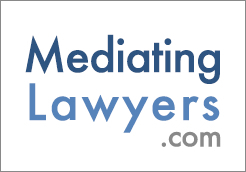 Again, Scotland has a strongly established and still growing mediation scene with skilled mediators and advisers who use mediation to resolve disputes effectively. Mediation can be and often is written into the dispute resolution clause in a contract as something which parties must at least attempt. Doubtless our southern neighbour will continue to be a major international provider of dispute resolution services, but it should be remembered that Scotland has so much genuine quality to offer this market with the business, revenue, employment and other benefits which it can bring to the economy of Scotland as a leading service provider.